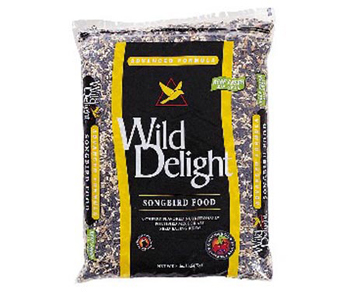 Songbird Bird Food is a cherry flavored nutritionally fortified mix for all seed eating birds. It contains real fruit (cherries and raisins) and has added calcium for grit and vitamins, minerals, electrolytes, and essential amino acids for healthy wild birds! No corn, no millet, no milo.